There is a lot of misconception and lack of creativity running around in content marketing. Often the term gets thrown into the same old bucket as SEO and people think of content only in the line of creating content which search engines can find. Other people think of content as a shout out medium, which they can use to talk about their products and services. But content marketing in itself has many more dimensions. And there are also a lot of brands, which get it right. And they are not all following the same old strategy. There are many different use cases, strategies, and content formats. Taking a closer look at a few case studies can help us all to get ideas and find our special strategy. We all can use content marketing to get our business on track or to move forward. I am not a huge fan of the Red Bull you can drink. But I love a lot of the other things Red Bull does. And they certainly do a lot to stay on my radar. I am sure you have heard at least some of them, too. Red Bull does not only create content; they create news. They financed the parachute from space and told some fascinating stories about it which got them a lot of attention. They sponsor many sports events and athletes – a lot of them being extreme sports. And they run a Youtube channel with videos telling us all about it. And while the standard customer of Red Bull might not be active in extreme sports, many of them like to watch it. The content Red Bull comes up with is not about the drink. It is about a lot of things but not the actual product they are selling. No sales pitch with Red Bull. Instead, Red Bull has a well thought through content strategy in which uses multiple types of content like video, social media, blog, images, magazines and awesome TV spots – and always the customers and their interests are in the center of the efforts, not the product. And in this all they do not only include their marketing team, but they make content marketing the goal of the entire company. They are not only achieving a ton of engagement from their customers, but they are also engaging their team in the marketing efforts. GoPro is a camera, an HD-quality, waterproof, video recording device. In their marketing, GoPro has a quite similar focus as Red Bull with their marketing. A lot is about sports and extreme adventures. It is not a coincident that Jonathan when I told him I would include Red Bull AND GoPro in this lineup of great content marketing examples, said: Are they not working together on some of the content? And yes, he is right, they do work together. While RedBull sponsors some great athletes, GoPro provides the equipment to capture these amazing stunts. A match made in heaven for some of the best content out there. And you may be able to recognize some of the content on GoPro as some content you already have seen from RedBull. However, a lot of the content on GoPro is produced by quite “normal” people – not only extreme sports people or adventurers: Everyone can pick up a GoPro and record something that is happening right in front of them and generate awesome content. The GoPro’s content comes from fans for fans. GoPro features a lot of videos from their fans on their Youtube channel. If you are interested in extreme stunts or hilarious animal behavior – it is worth to take a look. My guess is that they will never be able to feature every video which is submitted. Instead, they will have the power to choose the best of what people send in. One of the most important social networks for GoPro is YouTube. And they got their channel rocking getting a ton of brand awareness from it. Not only do they feature some content from their fans and customers, but they also respond to comments and connect. And sure as hell their fans and customers help them spread the word by sharing some of the cools stuff they find. Surely, if your video would be featured on GoPro’s Youtube channel, you would share the hell out of it, would you not? 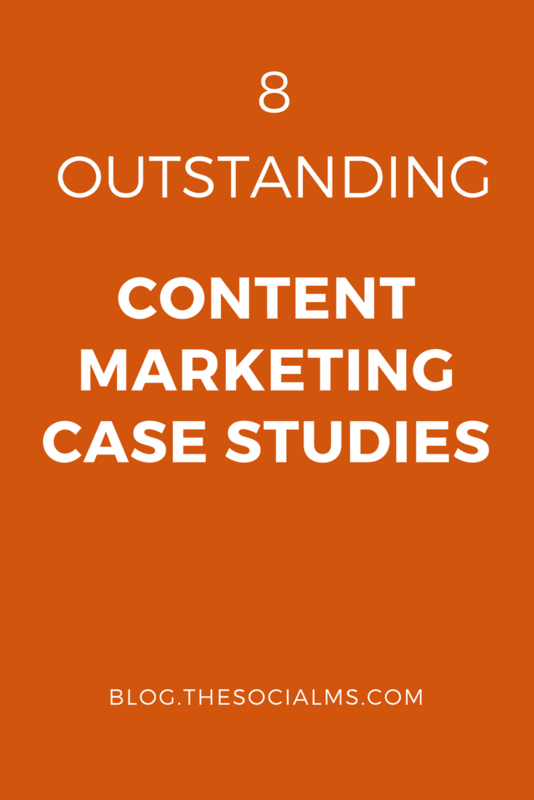 Now the above two content marketing case studies are great, there is no question about that. But my guess is that some of you simply say, what should you learn from them? Can you afford to sponsor some celebrity? Can you initiate awesome stunts and make videos about them? To be honest, I cannot. So here are some more content marketing case studies, which may be easier to copy or get inspired by. Intelligentsia Coffee started out as an in-store coffee roaster in Chicago which was meant to provide coffee for their coffee bar. Today they have coffee bars in three cities: Chicago, Los Angeles, and New York. They work together with coffee producers; they help develop the best coffee together with their farmers. They have an online shop, are engaging in wholesale, and they have their coffee bars. So where is the content marketing? Of course, they have a blog. But in addition, Intelligentsia came up with their version of whitepapers. They provide Brew Guides for almost any brewing process you may think of. Are you using a french press? Intelligentsia tells you how to make the perfect French press coffee. New to making espresso? Maybe the Espresso brew guide will help? They even tell you exactly how to make steamed milk. This is perfect content marketing. They provide their customers with content they need and are searching for – the perfect demand generation, thought leadership and lead nurturing content. This content marketing case study is quite simple but tremendously effective. I love it nevertheless because it is an example many businesses can learn from and there are many more businesses which already do something like this. For instance, take a seller of knitting wool – why not provide some knitting patterns (successfully done by drops design). Or take a look at the next content marketing case study, which also goes into a similar direction. Birchbox is famous for providing monthly beauty boxes. In addition, they have an extensive program for beauty products. And they market it by providing a countless number of tutorials and how-to-videos makeup or hairstyle and how to get it done for yourself. This kind of content is a perfect marketing concept for any beauty shop. By providing these tutorials, they can place their products right in front of their customers while at the same time providing very useful information the customers crave for. In these tutorials, the products become a solution rather than a product they desperately are trying to promote. This type of content marketing strategy produced endless Youtube channels and beauty influencers. Which in return means that beauty companies now can leverage influencer marketing and leave the content creation of videos or copywriting the them. Do you know Virgin Atlantic? The airline that serves more than 30 destinations worldwide? What better content would there be for an airline than travel advice? Here it is: On the Virgin Atlantic blog. It is not at all about flying Virgin – or flying at all. It is about the destinations they can bring you to and what you may want to do there. They cover festivals on Barbados as well as Business trips to cities like New Orleans, or Golf courses in North Carolina. A blog may sound like a standard content marketing concept, but it still depends on how it is done. And Virgin Atlantic blog is a great place for people who love traveling (and flying…). They do not talk about their product. Instead, they generate leads by providing blog content created to resonate with their audience’s needs at the perfect time. In 2012 Intel launched an employee-curated magazine called iQ with the goal to “connect with a younger audience and tell them the bigger story of who we are as a brand,” (Editor-in-Chief Bryan Rhoads). Earlier this year they reached an impressive number of 2.2 million unique visitors. The content on the platform is a mix of a different kind of content: some created by iQ Intel staff or freelancers, some content provided by partner companies and some curated content from outside sources. The success of iQ is mainly due to the distribution strategy, as the team early on realized it is not enough for a successful marketing campaign to produce or curate great content, you also have to make sure it finds the right audience. They found their distribution strategy with a mix of social media and native platforms as Sharethrough, Outbrain, and Taboola. What you can learn from Intel’s iQ tactics for your marketing plan: you need to find that sweet spot where your content and the message you tell intersects with the conversations that are going on. Of course, Hubspot is running an excellent blog about inbound and social media marketing. But Hubspot has a lot more lead generation content to share and spread. 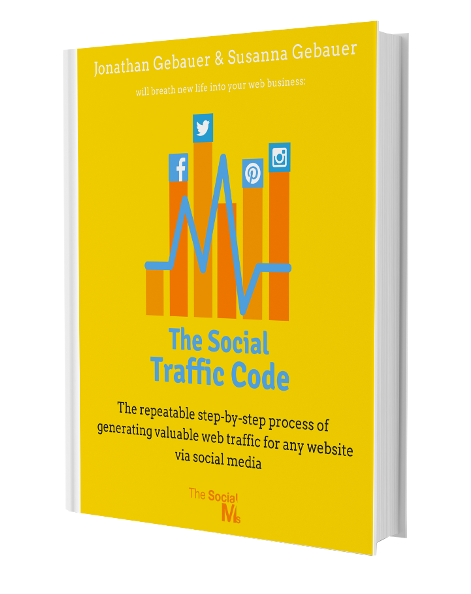 Wherever their customers are, Hubspot provides a guide, a white paper or some free templates, to make the life of potential customers easier. May it be some templates for infographics, a whitepaper on how to use Slideshare, some free photos you can download or some free webinars. Hubspot knows all about social selling and leveraging contents; the tool IS about social selling – and they strive to become a thought leader and solve all their customers’ problems – even before they are customers. Fisher Tank makes giant, above ground welded-steel tanks. Not exactly the kind of product you at the next corner for your pocket change. Projects usually are multi-million dollar deals. They created a “Think Tank Blog”, Social Media links and share buttons a new website design and calls-to-actions on their site. 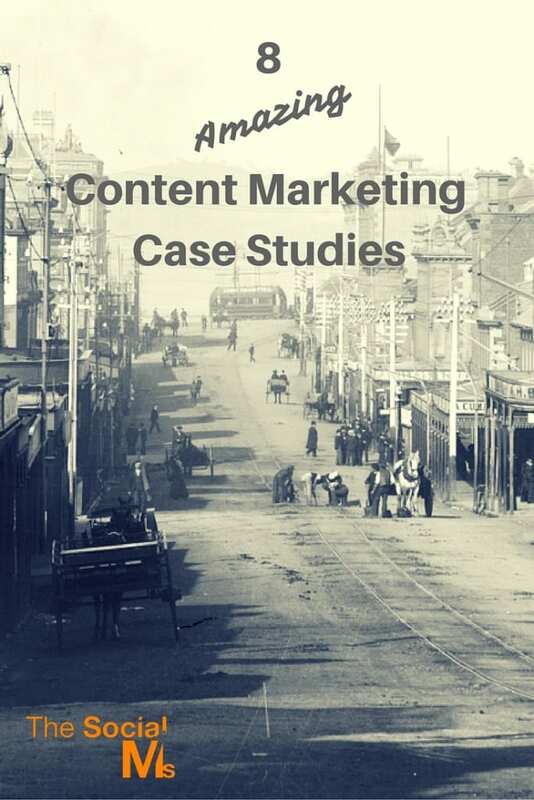 There are countless great content marketing case studies (probably more examples of bad content marketing, too – but who wants to know the bad things when there are so many great examples to learn from.) Take a look and think about these online marketing examples. Figure out what kind of content could you use to get into a conversation with your target group. Decide if you want to create a marketing blog, if you can use content curation, if you want to use video marketing. Think about your marketing goals: Do you want to fill your sales funnel or are you looking for website traffic? And keep in mind the importance of distributing your content! Did you find this helpful? Please help us spread the word and pin it! Rumors: Is Twitter Going to Remove The 140 Character Limit?